I needed a Big Flea fix real bad. Bad enough to drive up to Fredericksburg, VA today. It turned out to be worth the trip. These ladies were happy to see me. But I went for the sparkly stuff today. What happened to all that turquoise and red from the other day? Those projects are all finished and on their way. I can’t remember the last time I visited your blog but I’m glad I came across you again. 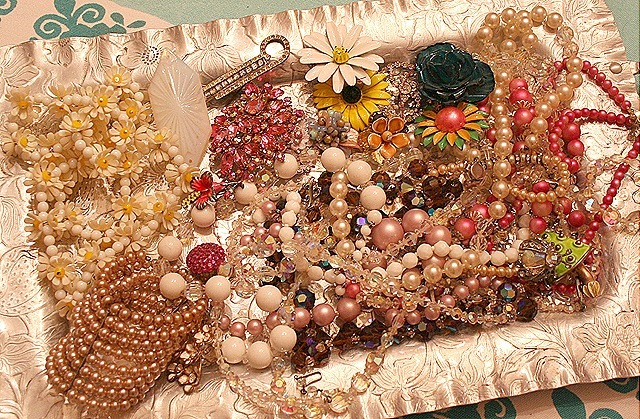 Omgosh I love your bling and linen finds! I’m spending a few days in F’burg this summer and would love your recommendations for the best spots to hit for flea market prices! And your projects are SOOO cute! I just love those colors together, Suzy. Lucky you, you got a fix! Sometimes I understand why crows go after shiny things. Preeetty. My apron arrived and I love it!! I’m sorry I didn’t stop in sooner to let you know but things around here have been insane! There’s still a good foot of snow on the ground but the apron certainly is brightening my days! It’s amazing & I love it! Nothin better than a flea market fix! Turquoise and red; a great combination. 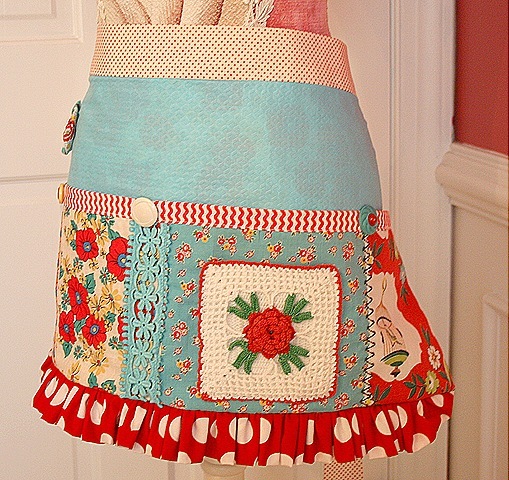 The apron is very sweet. And that bag is beyond perfection! 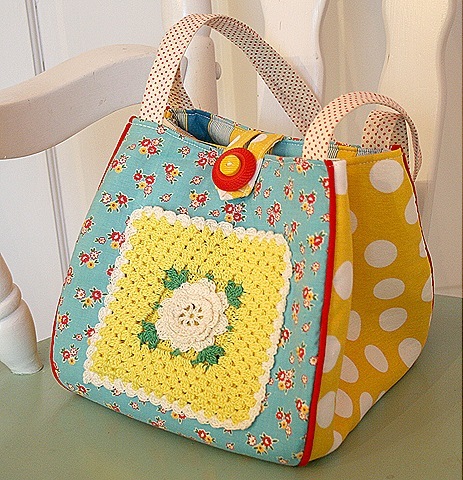 I love the big polka dots and crochet pot holder pocket. Oh wow! Love the sparkly stuff. I collect those enamel flower pins and fleas are the best places to find them for sure. I was wondering if you’d share the location of the flea in Fredricksburg so I can share it with my sister. That’s where her mother in law lives and I know she’d love a distraction when she’s down there lol. i can’t wait for spring i need to get to some fleas…that’s a great stash of bling that you found!! the apron and bag you made are really gorgeous!!! 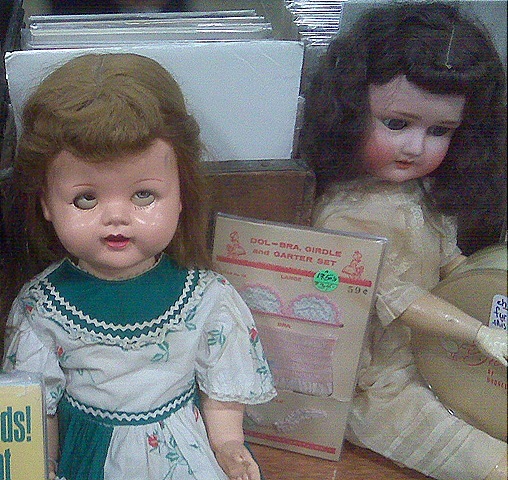 I haven’t been to a Big Flea in over a year!! I’m needing a fix too.